Only a week after Mike Overd and Michael Stockwell’s public order convictions were overturned at Bristol Crown Court, another preacher has been acquitted of a public order offence charge. Supported by the Christian Legal Centre, Andrew Frost was acquitted last week at Nottingham Magistrates’ Court. We are only able to help preachers like Mike, Michael and Andrew because of your generosity. 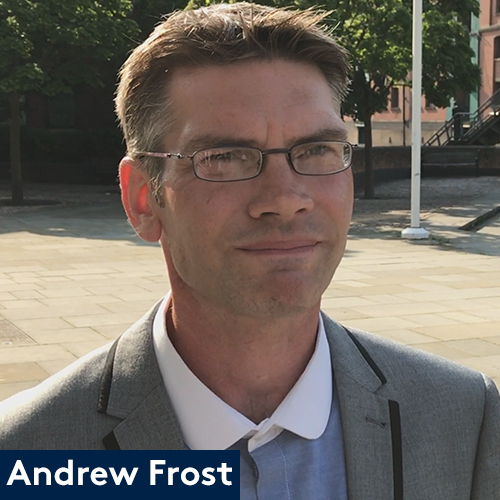 Last week, Andrew Frost was acquitted of a public order offence charge, where he was accused of causing harassment, alarm and distress to two men in a homosexual relationship. Andrew was preaching on the streets of Nottingham city centre in March this year. Andrew preached on the consequences of sin, and quoted Luke 13:1-5 and Matthew 15:19. As he preached, two men holding hands walked by. Rory Green, a friend of Andrew who was preaching alongside him at the time, gave evidence that the two men shouted abusive comments at Andrew. Andrew continued to preach from Scripture. The two men left, but approximately 15 minutes later a woman, who said she was the mother of one of the men, approached Andrew, and accused him of abusing her son and his partner. One of the men then returned and called the police. The two men claimed that Andrew verbally abused them and directed several lewd comments at them, all of which Andrew denied. Supported by the Christian Legal Centre, Andrew was found not guilty at Nottingham Magistrates’ Court last week. The court also ordered the repayment of his legal fees. Andrew was represented in court by Christian Legal Centre allied solicitor, Michael Phillips. “I am thankful that the judge saw sense and acquitted me of this charge,” he continued.“Christians need to be free to share the good news of the gospel to anyone who will listen – as we are commanded in Scripture to do. Thank you for praying for Mike Overd and Michael Stockwell, whose public order convictions were overturned two weeks ago. Mike and Michael were convicted of religiously aggravated public order convictions in February this year. They were found guilty under the Crime and Disorder Act 1998 at Bristol Magistrates’ Court. 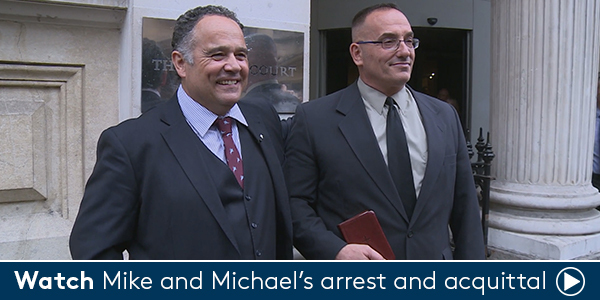 Mike and Michael had been arrested for preaching at a Bristol shopping centre in July 2016, along with two other men.